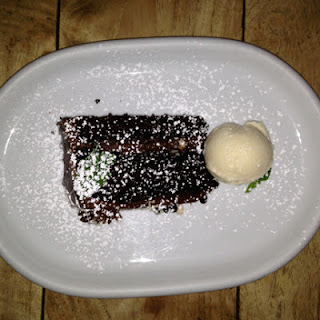 looking for a cute dinner spot on the lower east side? (aka les. thx, a.s.) you should most certainly, 100% definitely try pala, an italian restaurant w/ a super fun vibe. pala receives an automatic shiny gold star for having separate vegan & gluten-free menus. and not just like one or two things ... full, legit vegan & gluten-free menus. so awesome. this spot is great for sharing. and lucky for me, our group of four ladies included a vegetarian. yay for us! there's a pretty strict no substitutions rule at pala. but we found a way to get around it. order the gnocchi plain with the pesto on the side. winner winner gnocchi dinner. 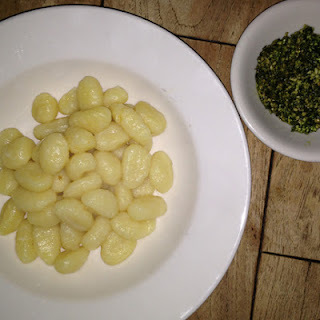 i think it's been about 90 years (ok, four-ish) since i had gnocchi, as most is not vegan. so we were super excited to see a vegan option available at pala. and it cooked perfectly (not always the easiest thing to do). 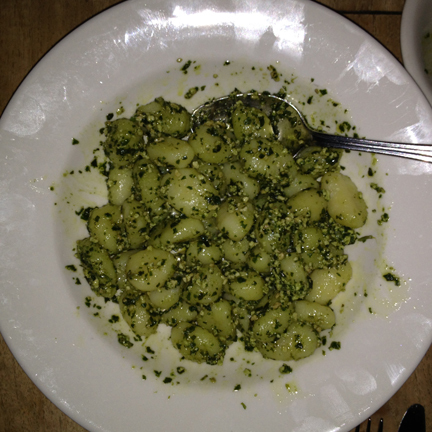 the pesto was packed w/ fresh basil flavor & was just generally delicious. overall, a great great great plate. 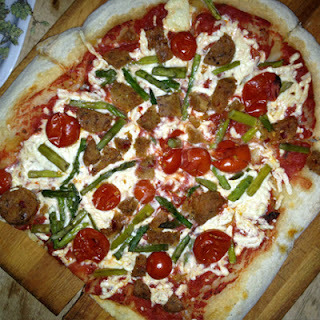 veggie sausage, asparagus, cherry tomato sauce & daiya cheese. dayuuum. this pizza was amazing. the veggie sausage was sooo tasty. all the great seasonings involved in italian sausage without the actual meat encased in meat ick factor. the crust was baked just past not raw, which i love (but obviously not everyone's cup of tea). #veganpizzawin. w/ vanilla soy ice cream. i'm going to repeat what i said at dinner : "i'm going to make a statement here. this is the absolute best vegan dessert i have ever had. by a long shot." so unbelievably good, i had to subtly question our server about it's vegan-osity. she said she doesn't tell non-vegan customers it's vegan (because, ya know, it scares them off) and no one notices. it's just that good. the photo does it no justice. because this dessert alone is worth a visit to pala. me & my pal(a), melissa. #besties. photo cred : abby schreer. xo. vegan dining partner cred : alicia evangelides. xo. to the vegans, vegetarians, gluten intolerant & regular ol' omnivores : get your cute asses to pala. stat.